Both our Optometrists, Andrew Angeli and Photi Tanos, have been invited to participate in the Lady Cilento Children's Hospital (LCCH) Eye Clinic's Paediatric Optometry Alignment Pilot Program. This innovative program plans to establish a network of dedicated and specialised eye health clinicians (Ophthalmologists, Optometrists and Orthoptists) with up-to-date knowledge and skills to deliver an exceptional level of care for children with eye-related problems. The program will provide aligned optometrists with access to education resources for effectively treating children as well as a direct communication link with the clinicians of the LCCH Eye Clinic in order to seek advice in the care of individual children where necessary. This ensures your child will be treated by an optometrist who is in partnership with some of Queensland’s leading children’s eye health clinicians with a charter to deliver the best possible care. Eye disorders are one the most common long-term health problems for children (along with allergies and asthma). Good vision is vital when considering a child’s educational outcomes and also their physical and social development. 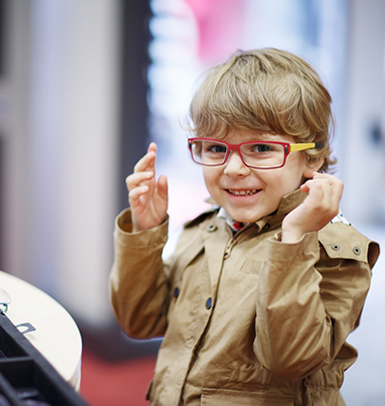 Even if there are no complaints or concerns, we recommend that it is important that every child receives a comprehensive eye examination at least by the age of 5. Early detection of certain eye disorders is often critical for good outcomes. Please feel free to contact us if you have any questions or to arrange and appointment for your child.